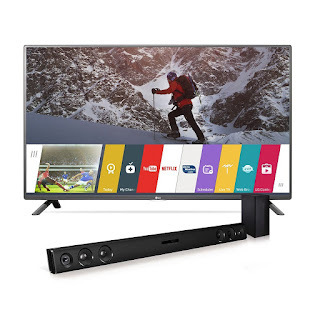 The LG LF5900 TV offers stunning Full HD 1080p picture quality plus the exclusive webOS 2.0 Smart TV platform, so it’s easy to find exactly what you want to watch. With the LAS454B 2.1-channel sound bar with wireless subwoofer, you’ll be enjoying your favorite movies in crystal clarity and streaming music wirelessly from your smart phone or tablet with rich, powerful audio. Bundle them together and you have a complete audio/video system that delivers superior performance and the latest features.